It’s easier to push for an environmental cause when it’s designed to look good on you. 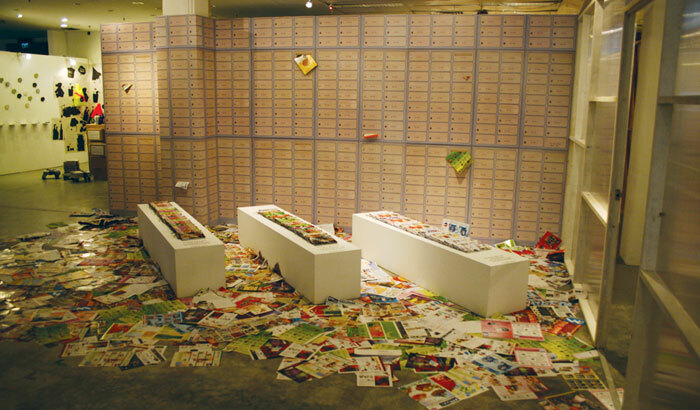 For the Singapore Design Festival 2007, our contribution to Utterubbish, a recycling-themed exhibition, was a series of recycled notebooks. 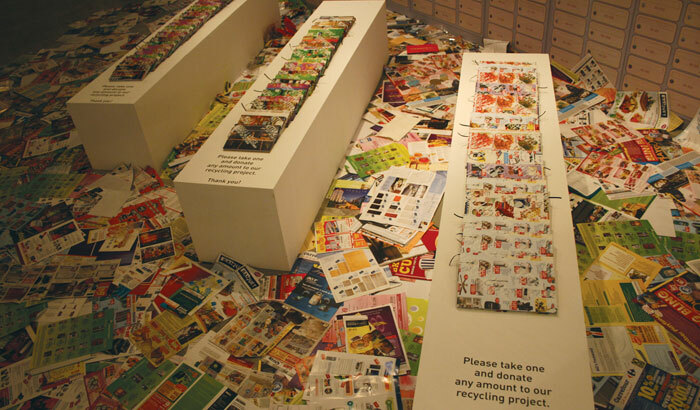 Dubbed the “Rejuvenation Project”, the notebook covers were made from discarded mailers collected from all corners of the island. 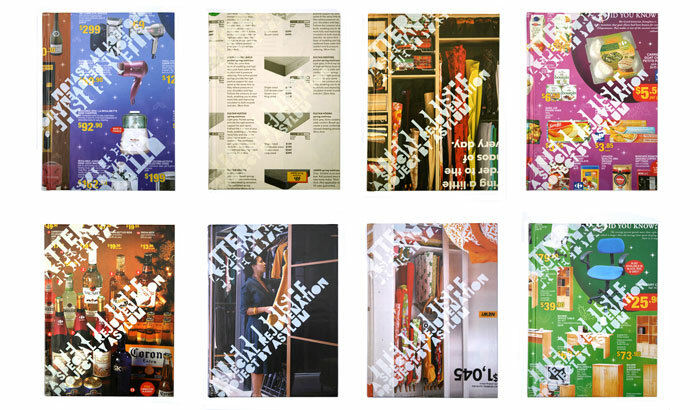 Each cover was then silkscreened with white typography, resulting in accidental designs with no two covers alike.